This is the time of year we start thinking about our Fall/Winter wardrobe and it’s a GREAT opportunity to perhaps think about trying to do things a little differently in the wardrobe department. 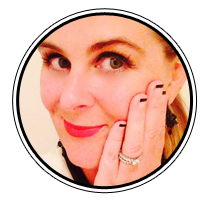 Have you ever heard of a capsule wardrobe? If not, then read on to learn something new. If you have heard of a capsule wardrobe before, read on for inspiration. 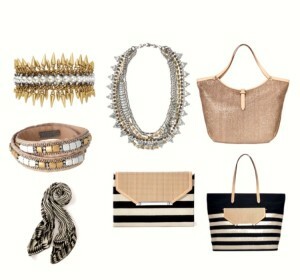 All sets were made on Polyvore and are present, so to shop them, head to my Polyvore account HERE. If you are living in a small house, have limited time to get ready, can feel overwhelmed with too much choice, or just simply want to simplify your life, then a capsule wardrobe is for you. Minimalistic is the new black. SO, DEFINE A CAPSULE WARDROBE FOR US PLEASE, YUMMOMUMMO? Defintion : creating a minimalistic wardrobe for a season, where each piece can be interchanged and is versatile, mix and match. Using a variety of clothing items, as well as including accessories, shoes etc. On with the show. 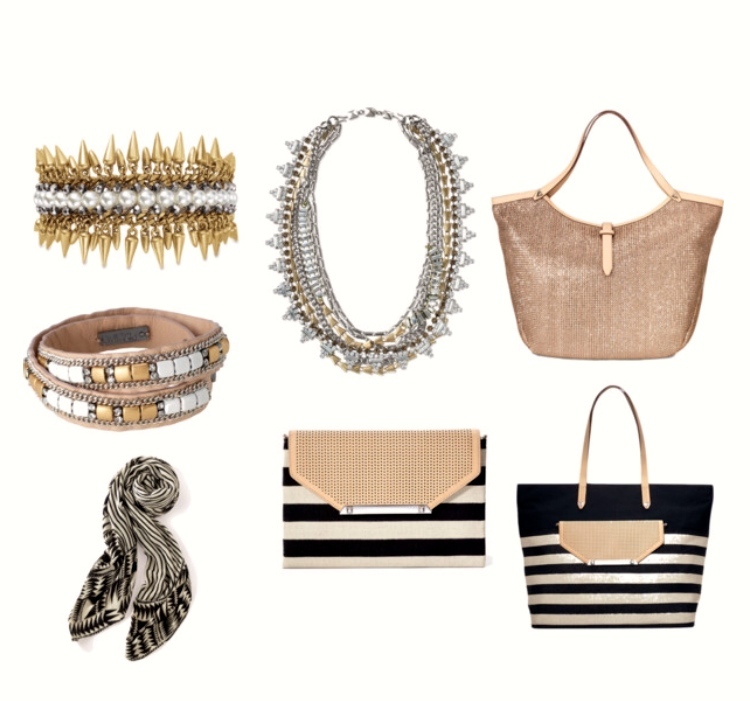 You will see that all items can be worked together to create a multitude of outfit combo’s. If you know me well enough, you’d know this is my forte and my mind is blown with all the combos to be made. Both dresses with chambray tied, black blazer, white blazer. Pencil skirt could go with all tops and tanks, add a jacket and heels or flats. Same with the denim skirt, or try a little denim on denim. Orange shorts would look uber cute with denim shirt popped collar and Sutton Necklace. Throw on the cheetah pumps for absolute fun. The grey sweater dress will give you choices. Layer the black sweater with a sriped top for pop of fun. The white blazer is incredibly versatile in any outfit combo. Military jacket will provide warmth on those cold days and give you that urban/edgy look. 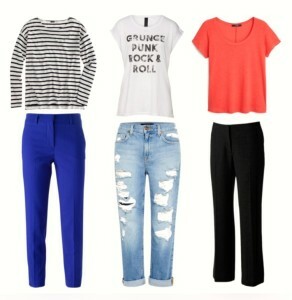 I threw in some pops of color with the cobalt pants and bright top, would also look great together! Mix and match all these combo’s. 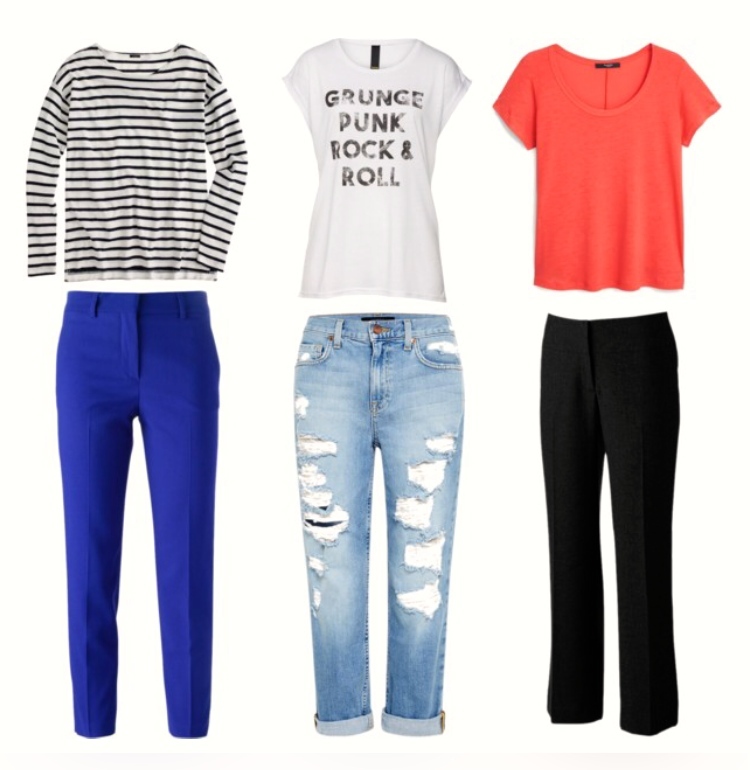 Some practicality for day with the flats and some fun for night with the pumps. Black pumps will always be classic and animal print brings fun to the mix. The black tank is a staple. Pair the black stripe is with the orange shorts, black blazer and black ballet flats (just ONE idea). Classic ray bans, what more can I say! You could practice making a capsule wardrobe the next time you go on vacation, AND call me crazy, but I photograph all the outfit combinations on my bed so I can flick through my phone and get an inspo in a mini moment. I would love to know if you give this a try, let me know how you go! Love your fashion review and advice!! Once I get an allowance for fall, I will definitely consult this review! !